Congratulations to Steven King who took home the Edgar for best short story for "Obits" from his Bazaar of Bad Dreams, and Russell W. Johnson who scored the Robert L. Fish Memorial Award for best first story. His "Chung Ling Soo’s Greatest Trick" appeared in Ellery Queen's Mystery Magazine. "Creampuff," by Rob Hart, in Unloaded, edited by Eric Beetner, Down and Out Books, 2016. 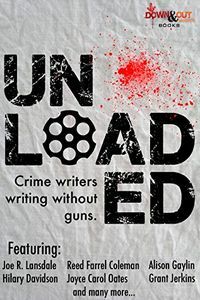 Clever concept for an anthology: crime stories without guns. Profits will go to States United to Prevent Gun Violence. As for Mr. Hart, making his second appearance in this space, while his story features a violent crime, it feels more mainstream than genre. It's a sort of character study or slice-of-life (slice-of-death?) piece about the titular character. The big man they call Creampuff has a job that could only exist in a city as big and crazy as New York. He is a bouncer in a bakery. You see, the chef has come up with a baked treat so popular that people line up before opening to buy one, and they are all gone before nine A.M. And since they are so trendy, a whole of Important People feel they should be able to cut in line to get theirs. Creampuff disagrees. And he can make it stick because "[h]e was huge, like a recurring childhood nightmare." There were the Richie Riches who would stride up to him and wave a bill under his nose. Usually a twenty, sometimes a hundred. Creampuff would take it, stick it in a pouch on his belt that read "donations for charity," and cross his arms. No one ever asked for their money back. An enjoyable and well-written piece. The Ballad of Maggie Carson, by Cheryl Rogers. "The Ballad of Maggie Carson," by Cheryl Rogers, in Ellery Queen's Mystery Magazine, May 2016. 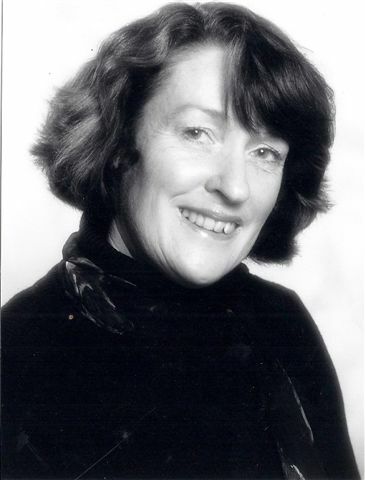 This is Australian Cheryl Rogers's third appearance in this space. And what a treat it is. Here's the opening. David's lifeless body sits ramrod straight in the passenger seat. The recently widowed Maggie Carson is gunning a camper van along a red slash of outback corrugations. Anthills dot the spinifex. They flit along the hazy edge of her peripheral vision like tombstones. So who is Maggie and what is she doing rushing through the Never Never at full speed with this peculiar traveling companion? And did I mention that a retired police officer may be chasing after her? She is a very cheerful senior citizen, very glad to be free of her miserable husband. "This woman is in the driver's seat. She prides herself on being a glass-half-full kind of gal. Someone who makes the best of the curved balls life tends to pitch." This story reminds me of one of my favorites from last year, Margaret Maron's "We On The Train!" They both race along with a breathless energy that conceals what is actually going on. (But Rogers' story is far more manic.) Highly recommended. "The Miracle on Christmas Eve," by Szu-Yen Lin, in Alfred HItchcock's Mystery Magazine, May 2016. I am not a big fan of locked room stories. I think I only have only reviewed one here before. But I liked this one a lot. Szu-Yen Lin is Taiwanese and his hero Ruoping Lin is as well. Unfortunately neither the editor's introduction nor the story itself tell us anything about him except that he will be moderating a panel at a book fair and that he is not surprised when a stranger knocks on the door of his office with a problem. Oh, I should add that for that panel he is reading a mystery novel by an author "who specializes in mysteries without crimes," and that of course is called foreshadowing. Getting back to the knock on the door, the knocker is a grown man named Ko who wants Ruoping to tell him whether Santa Claus really exists. It's not quite as crazy as it sounds. When Ko was young his father, a widower, made sure a present from Santa was waiting for him every Christmas morning. When his schoolmates scorned his belief the father invited them all over on Christmas Eve to be convinced. And proceeds to reveal a dozen presents inside a locked room, sealed with tape on door and window, after he and the boys slept on the floor outside all night. The work of Santa or a clever and dedicated parent? I am sure you can guess but the solution is quite satisfactory. "The Last Blue Glass," by B.K. Stevens, in Alfred Hitchcock's Mystery Magazine, April 2016. My fellow SleuthSayer B.K. Stevens has come up with a nice one. I could say it is the life and death of a marriage as told through a set of blue glasses, and that's true, but I am afraid it makes it sound artsy and experimental. It isn't. Cathy and Frank buy the set of six blue glasses as they are preparing for their first dinner party. They are a bit fragile and expensive but Frank loves them and Cathy tends to go along with what he wants, which turns out to be part of the problem. "I don't know why you bought such flimsy things," his mother said, not glancing down. She salted her potatoes, her chicken, her broccoli, everything on her plate before tasting everything. I did not guess where the ending was headed, but glancing back to the start I see it was nicely foreshadowed. A very good story.. I am embarassed to admit I didn't read far enough down the announcement to see that the Short Mystery Fiction Society also announced the winner of the Edward D. Hoch Memorial Golden Derringer for Lifetime Achievement in Short Mystery Fiction. Congratulations to Michael Bracken!